Mid-century modern is a nostalgic throwback to the design style of last Century – mainly from the timeless, romantic eras of the 1930s to the 60s, but also the with some elements of minimalism and a ‘fuss-free’ functionality. Mid-Century modern emphasises pared-down, organic shapes such as a chair that resembles an egg, simple fabrics and easy-to-use contemporary designs. and simple fabrications. The style embraces Art Deco, the embellishment, colours and styles of some early modern art movements from Impressionism to Cubism combined with the German Bauhaus. An eclectic, contemporary interior is usually part Mid-Century inspired and part sleek modern furniture items. Mid Century Modern isn’t an authentic recreation of these styles but a borrowing of themes used to create your own salmagundi. The basis of the Scandinavian minimalist interior design is the ‘Hygge’ ethos which is a Danish word of dubious origin but which is related to feelings. It’s about experience and atmosphere rather than things, creating a warm, ambient space that highlights the good things in life, or simply the feeling of contentment you have just by being yourself. To create a Scandinavian interior you need clean lines, pure forms, natural materials and simplicity beautifully peppered with bright colours, soft textures, and contrasts to make sleek and modern furniture cosy and inviting. Using the Hygge philosophy, Scandinavians understand how to use the best and most striking modern furniture and designs to create a layered, warm and cosy feel. The furniture design is understated and often looks like a work of art, with many having a sculptural influence, but always functional. Natural light is highly coveted in Nordic countries where the weather is harsh in winter and not at all hot in the summer months so spacious, natural lighting, fewer accessories and functional furniture characterises the design. Simplifying modern design is a concept embraced by modern young Australians, possibly because of the neutral, airy palettes, and the simple, streamlined furniture with no flamboyance or excess in either décor or accessories. Functionality and clean lines are the hallmarks of the Minimalist style. There are spacious rooms with a minimum of furniture and detail, an emphasis on colour, shape and texture, using geometric lines, with the furniture set low. Here you reduce your life to bare necessities, with no clutter – only bright, neat and clean rooms sans chunky cupboards full of things you should have thrown out ages ago, and no décorative pieces. This style will suit if you love that the beauty and form of each piece of art or furniture you’ve chosen is highlighted. The minimalist style is white, but ivory or beige hues or any of the lighter colours that are easy on the eyes can be used instead. Use a professional cleaner to keep your minimalist interiors spotless and pest control to make sure your pristine environment is kept that way. A combination of ocean-inspired colours and organic, natural, and textural materials epitomise beachy coastal elegance and a relaxed, coastal lifestyle that is a quintessentially Australian vibe. This style is broad and personal and is interpreted differently from coast to coast in this wide, brown land. No matter where you live – near a beach or not – beachy coastal design is elegant and draws on the exhilaration and stunning beauty of our beaches and rugged coastlines. Colours of the sun, sand and sea with tropical plants celebrate a relaxed lifestyle and the décor is fresh with white walls and a neutral shade in the floor rug are a contrast to the warmth of nature-inspired art and timber. Natural light and the free flow of air and bi-fold glass doors bring the outside in so you can entertain on the patio in your beach house or bungalow. Create a resort-style atmosphere with stone and timber, décorative items in coral red and navy, seaweed and sage to reflect nature’s stunning beachy shades. Australians love the carefree lifestyle of Bohemian chic in their fashions and interior design concepts whose philosophy is ‘follow your heart’s desire’. The word ‘Bohemian’ is what an ancient land was once called – it’s now known as the Czech Republic. 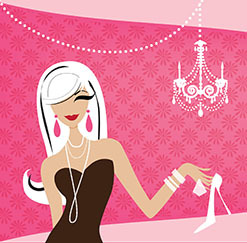 The word is used in modern times to refer to an eclectic design and a lifestyle that could be described as eccentric. There are few rules to follow, but a Boho-styled home will have vintage just about everything – light fixtures, textiles and rugs from far-flung places, items found in op-shops and flea markets, or bought on overseas trips. You’ll see floor pillows, an uber glamorous chandelier, a well-worn rug and a chair from the mid Century in a Boho home. Bohemian attitudes are laissez-faire where anything goes as long as you love it. 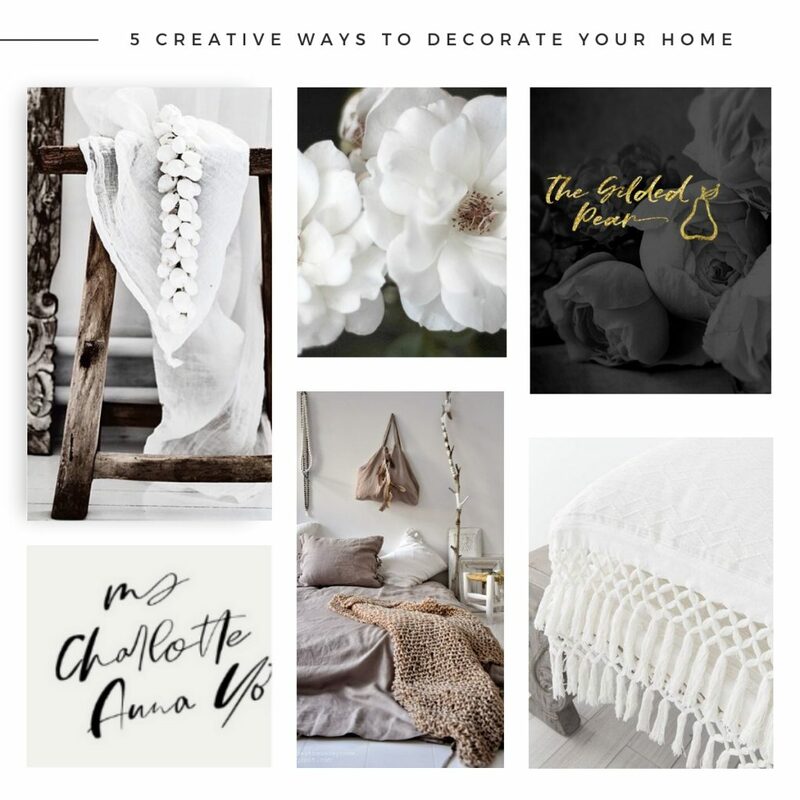 At The Gilded Pear Homewares, we curate the best and latest in home décor and furniture to keep you au courant with cutting-edge interior design trends.That way, you can finally take that dream-room from your Pinterest board and make it a reality. Our team of designers and buyers stay ahead of trends to bring you the best and latest in furniture, homewares, and soft furnishings. Our design focus is on Scandinavian, Industrial, Coastal Boho and Mid-Century Modern interior styles. Author’s Bio: Alex Morrison has been a SEO Expert in Melbourne for over 10 years. In this time he has worked with a range of businesses giving him an in depth understanding of many different industries including real estate, financial support and health care. As the owner of Integral Media he is now utilising his knowledge and experience with his rapidly increasing client portfolio to help them achieve their business goals. This entry was posted in Creative Ways to Decorate Your Home. Bookmark the permalink.